Do you have a problem tree? Does it look like it can fall over at any second or has it already fallen over? 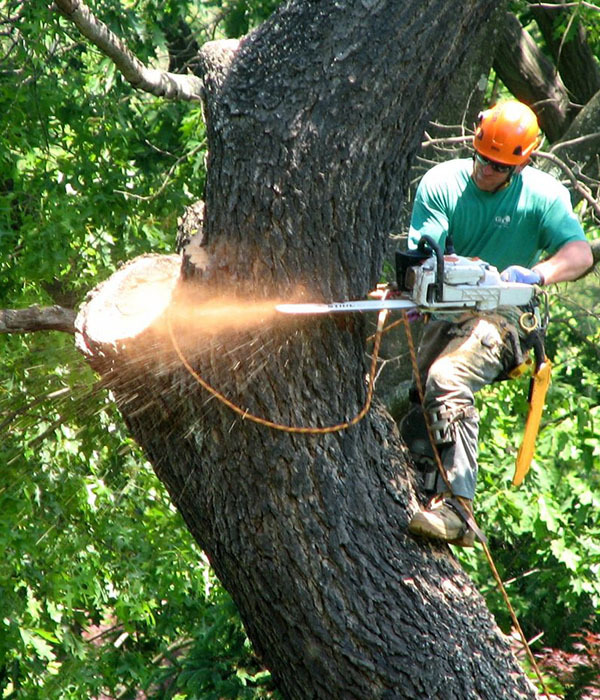 We are experts in tree removal along with trimming, pruning, and stump grinding. Our work gets done fast but most iportantly, with the highest quality of care. We understand that some trees can be very important to a person. Even though they are not our trees, we still care for them as much as you do. Read more about our services below. When you are ready to have us work on your trees, give us a call or send us an email. Having a tree fall over is very dangerous to you, your family, your house and others. A fallen tree can cost your thousands in repair. It is best to have us remove the dying or dead tree before the next Michigan storm rolls through. 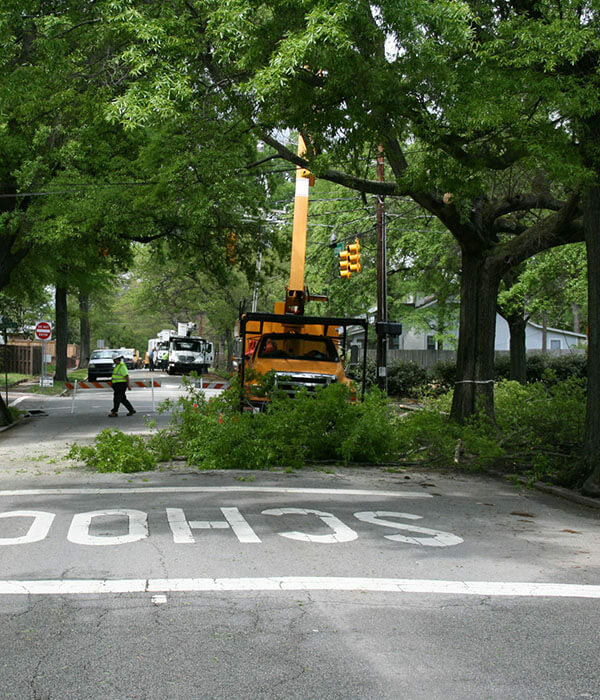 For non-emergency situations, a tree could be damged from storms or it could have a bug infestation. Dying trees are not pretty to look at and can lead to damage of other trees. Our company does all the work in removing trees. You'll know who is out there and that you are fully protected. After we remove the tree, we won't just leave it in your yard like other companies do, we will clean up the yard. You can even keep the wood is you wish or we can haul it out. Avoid the stress of doing it yourself and give us a call. Tree pruning is where you cut the branches and leaves so that the tree can continue to grow big and healthy. 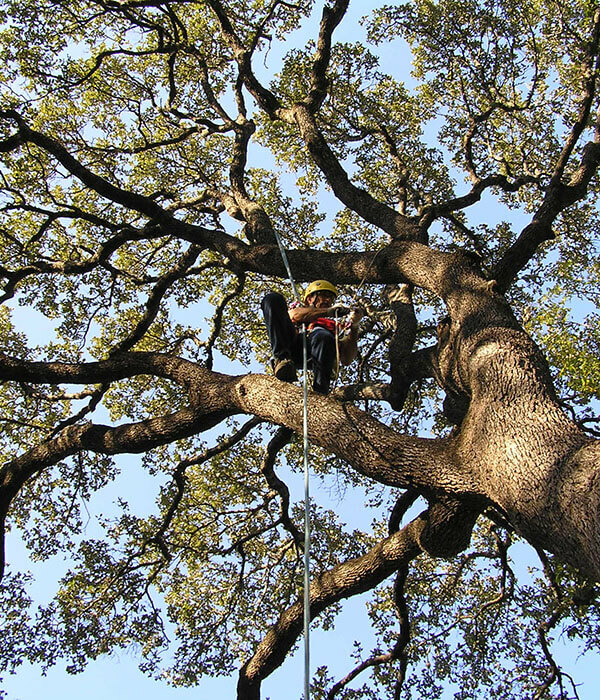 We can get up in the tree and remove branches that might be rubbing together soon and other branches that allows the tree to get more oxygen. There are two ways to prune a tree, for health and for aesthetics. For health, it would be removing branches that can potentially harm the tree and allowing the tree to be able to grow correctly. For aesthetics, it would be to focus more on the shape or height of the tree. Some trees have a certain shape to them that customers like to keep. That's where we would come in and shape the trees so that they look how they should. We like to promote healthy growing and beautiful trees so we would never over cut a tree. 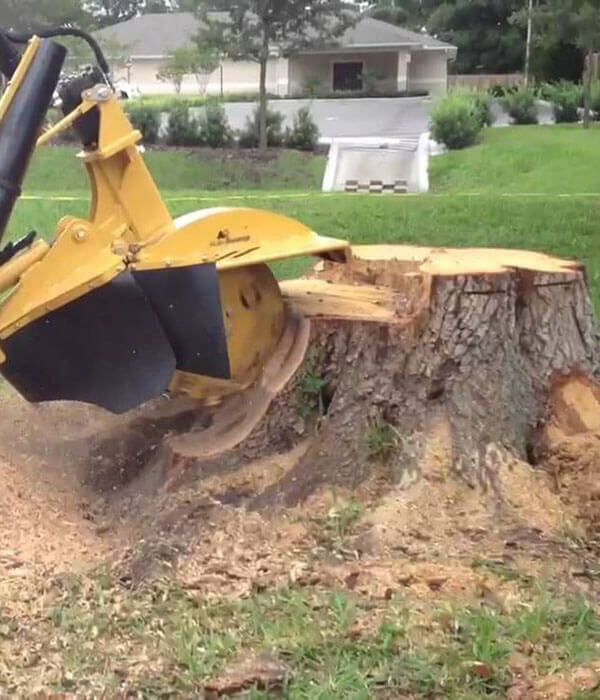 When you think of stump grinding, it seems like it could be an easy task to accomplish on your own. It's very dangerous to do if you don't know what you are doing and can be more expensive than having us do it. We have invested in different size grinders so that we can get into any size yard and through any sized gates. The grinder works with a big wheel that spins and slowly moves back and forth, grinding away the stump until there's nothing left. After the stump is gone, we would clean up your yard. We can even fill in the hole with dirt and throw some grass seed down if you'd like. You can keep the wood chips if you desire or we can take them off your hands. Don't try doing something you're not experienced in. It's best left for the experts whose done it many times. We trim trees when there's a tree that's close to a wire or the house. When the tree is close to damaging something, it's best to get it trimmed away before it cuts your power or breaks a window. We can go up there and remove branches that are hanging too low, getting too close to things or have been running together getting damaged. It's much safer for the tree but also for yourself to get rid of those pesky problems. You can have yearly service set up with us so that we come out and trim your trees or you can call us out of the blue to come trim your trees. We do everything in house, unlike other companies who subcontract out. We climb trees, trim the trees and clean up after the trees. It wouldn't be fair to leave you with a mess. Call us today to trim the trees.